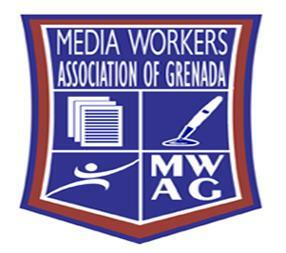 The Media Workers Association of Grenada (MWAG) joins with its world affiliates and partners in observance of World Press Freedom Day 2018. “Keeping Power in Check: Media, Justice and the Rule of Law” is the theme chosen for this year’s observance and it is quite significant given the recent level of political interference in the execution of media functions not only in Grenada but the region. The media has been and will always remain an integral pillar of democracy throughout the world, and we must continue the process of promoting transparency and strengthening democracy. In execution of our functions, the main hindrance to promoting transparency in the political process is access to information, and MWAG will, therefore, be championing the cause for the review and consultation of the draft Freedom of Information Bill (2007) which has been sitting on the shelf for over 9 years. We believe that this and many other measures will help in keeping power in check. This will affect not just journalists in doing their daily functions more efficiently but society on the whole. While we are happy with the progress being made in the profession, there is more work to be done. MWAG commends all media practitioners for the work you have done thus far and encourages you to continue keeping people informed, educated and entertained. Continue to let people know what is happening from all story angles. Let us take ownership of the profession we hold so dear.